Non-yoga partners are welcome to attend. 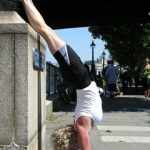 This week is for those that would like to join us at Angels gardens but do not practice yoga. Hayrullah and the family will make you most welcome. Trips to the archaeological sites can be arranged. The yoga studio is still open for people to use. Payment for this week is paid separately to Angels gardens. Because of the outstanding beauty of the area and the friendliness of the family it is a perfect place to relax and unwind. For the more energetic, a chance to walk part of the Lycian way. Daily classes: Morning 2 hours then breakfast. give us your flight arrival details and we will arrange for you to be collected. Set in the pine-swathed hills at the heart of the Olympos National Park in southern Turkey, Angels Gardens is the perfect location for a yoga holiday. You can expect the warmest of welcomes and the friendliest hospitality at this charming family-run retreat, where everything will be done to make sure you’re well looked after during your stay. Mountains, forests, ancient ruins and the glass-clear waters of the Mediterranean Sea provide an unforgettable backdrop and guarantee you’ll find total peace and seclusion amid the breathtaking natural beauty of its surroundings. The accommodation is in comfortable en-suite air-conditioned chalets and cabins, which lie discreetly around picturesque gardens filled with flowering plants and fruit trees. Delicious vegetarian food is prepared from fresh, locally sourced produce (organic where possible) by local people to ensure the authentic flavours of traditional Turkish home-cooking. After breakfast the day is yours to either relax by the pool or sit in the shade under the olive trees. There are various trips which can be taken and these are optional. Olympos and Adrassan beaches are only 10 minutes away and the family are happy to drive you there. Take advantage of the Hammam to relax in or have a massage treatment. In the evening you can sit around the open fire and look at the stars. Hammams are part of Turkish tradition. Unique to Angels Gardens is the Hammam which is located on site. The Hammam is a beautiful marble building in which you can relax and unwind and have treatments. The Hammam is free to use but all treatments will be charged extra.